Lady Smoke, the sizzling sequel to the New York Times bestselling novel Ash Princess by Laura Sebastian, finally hits shelves on 2/5/19! 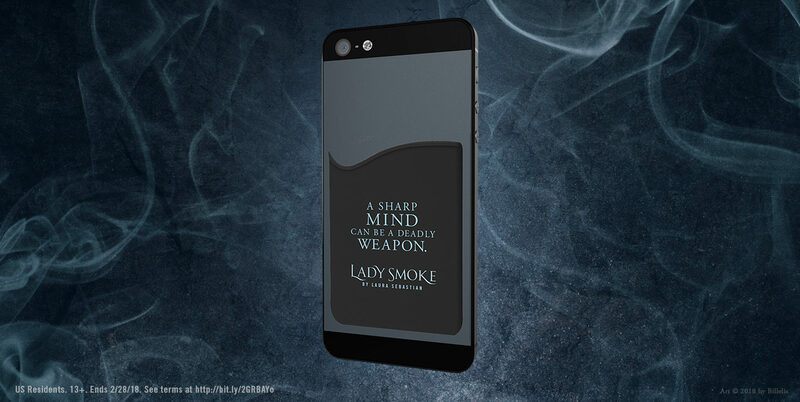 Whether you're discovering the series for the first time, or you've been anxiously waiting to read the next chapter in Theo's story, we've got an awesome prize for you—a Lady Smoke phone wallet! Just upload your receipt for Ash Princess or your proof of pre-order for Lady Smoke by filling out the form below and we'll send you one! 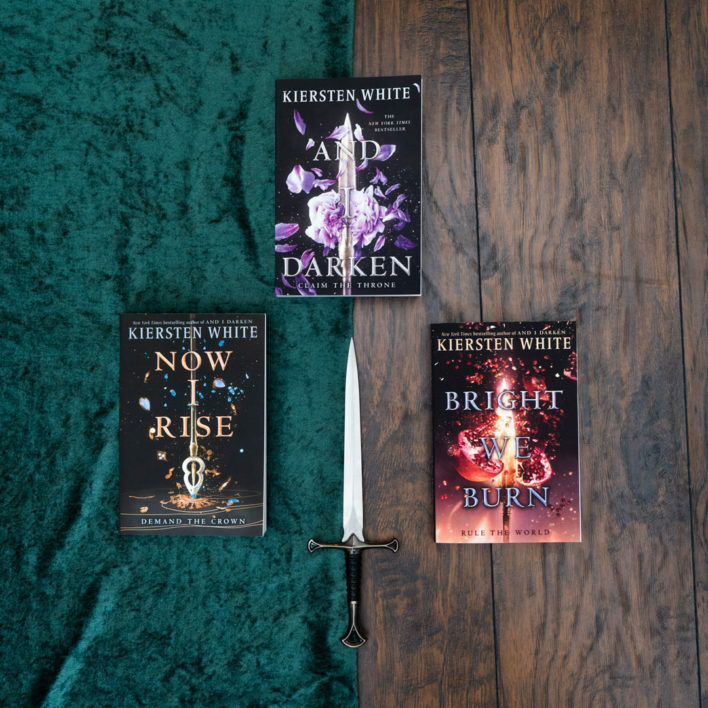 “Made for fans of Victoria Aveyard and Sabaa Tahir” (Bustle), Ash Princess is an epic new fantasy about a throne cruelly stolen and a girl who must fight to take it back for her people. Theodosia was six when her country was invaded and her mother, the Fire Queen, was murdered before her eyes. On that day, the Kaiser took Theodosia’s family, her land, and her name. Theo was crowned Ash Princess—a title of shame to bear in her new life as a prisoner. Theo no longer wears a crown of ashes. She has taken back her rightful title, and a hostage—Prinz Soren. But her people remain enslaved under the Kaiser’s rule. Upload your receipt for Ash Princess or Lady Smoke by Laura Sebastian to participate in this bonus offering, while supplies last. Must be 13 years of age or older at the time of entry. Void where prohibited or restricted by law. No groups, club, or organizations may participate. Limited to one request per IP address. Incomplete forms will not be eligible. Multiple entries from the same email address will be automatically disqualified. US mailing address required. Please allow 4-6 weeks for one (1) cell phone wallet by mail. Offer valid between January 21, 2019 and February 28, 2019. Sneak Peek! 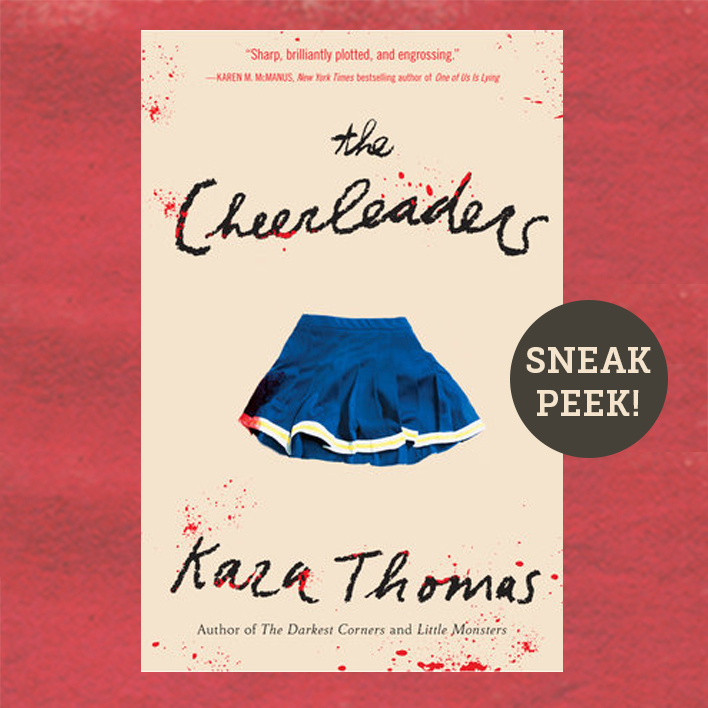 Read Chapter One of The Cheerleaders by Kara Thomas!